Muslim Man Admits to Multiple Murders in WA, NJ in Taking ‘Vengeance’ on U.S.
WEST ORANGE, N.J. — A Muslim man has admitted to multiple murder charges committed in two states, of which he told investigators were committed as retribution against the United States for its military operations in the Middle East. Brown, 29, is currently behind bars in the Essex County Jail in Newark, New Jersey on charges that he murdered 19-year-old Brendan Tevlin on July 25th by gunning him down at a red light. According to NJ Advance Media, after firing multiple shots into the vehicle, Brown moved Tevlin’s body into the back seat of the car, which he then drove to a nearby apartment building and abandoned it. The two did not know each other. 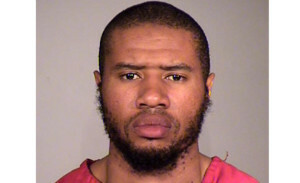 Authorities in Washington State have also charged Brown for the murder of 30-year-old Leroy Henderson, who died in April after being shot ten times in the back while walking home. On June 1st, Brown reportedly killed Ahmed Said and Dwone Anderson-Young after meeting them at a night club in his Seattle neighborhood. He then left Washington and traveled to New Jersey, where he randomly killed Tevlin. “The defendant was on a bloody crusade, executing four innocent men … with the same murder weapon, over the course of approximately two months, and all under the common and single scheme of exacting ‘vengeance’ against the United States government for its foreign policies,” King County Prosecutor Dan Satterberg alleges in court documents. Washington Detective John Pavlovich has likewise stated that Brown has admitted to all four murders, remarking that he was just “doing my small part” to take vengeance on Americans. “[Did you commit] the one in King County on the 28th, the two in Seattle on June 1st, and the one in West Orange [N.J.] on June 25th?” Brown was asked by the detective. “All of it,” he replied. “Those four murders that we’re talking about were all done for vengeance for the actions of the United States in the Middle East?” Pavlovich inquired. “Are you taking responsibility for that?” the detective asked. “Just doing my small part,” Brown allegedly responded. “During the [investigative] interview Brown also stated that, as part of his beliefs, if a ‘man sees evil then he must take action against that evil’,” court records state. Brown is currently being held on $5 million dollars bail and could face the death penalty. Despite alleged admissions to investigators, he has plead not guilty to the crimes in court.